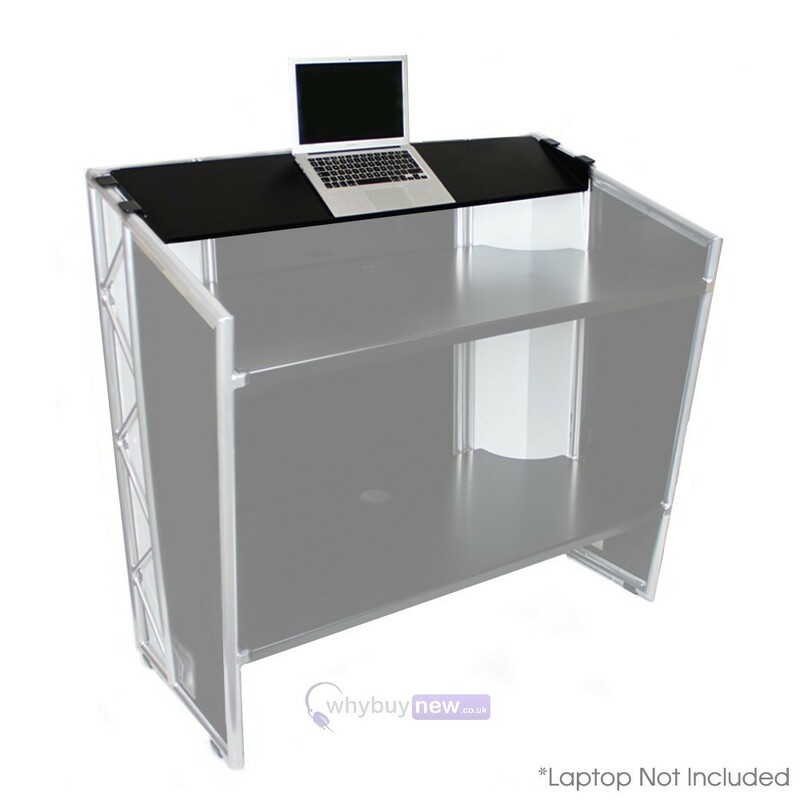 This Laptop/Monitor Shelf is designed for the Liteconsole Elite DJ stand. 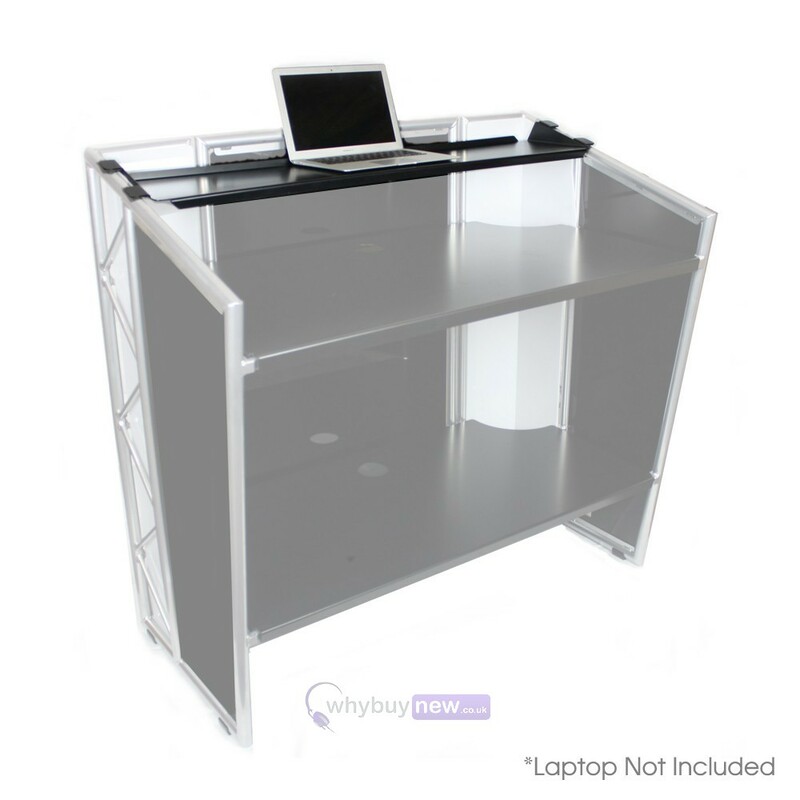 Its ingenious design means that it can be used in two ways: at an angle or, flat for also using monitors/lighting fixtures/controllers, etc. 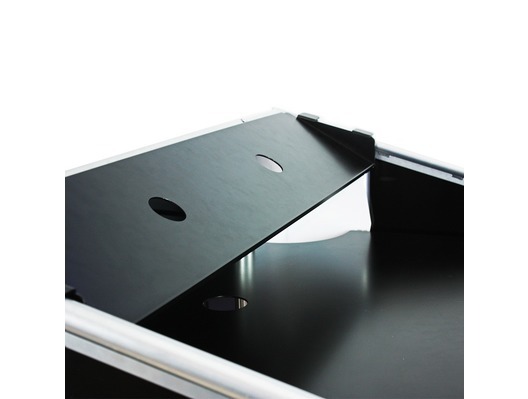 The shelf fits across the width of the Élite, above the upper shelf and rests on the side profiles. 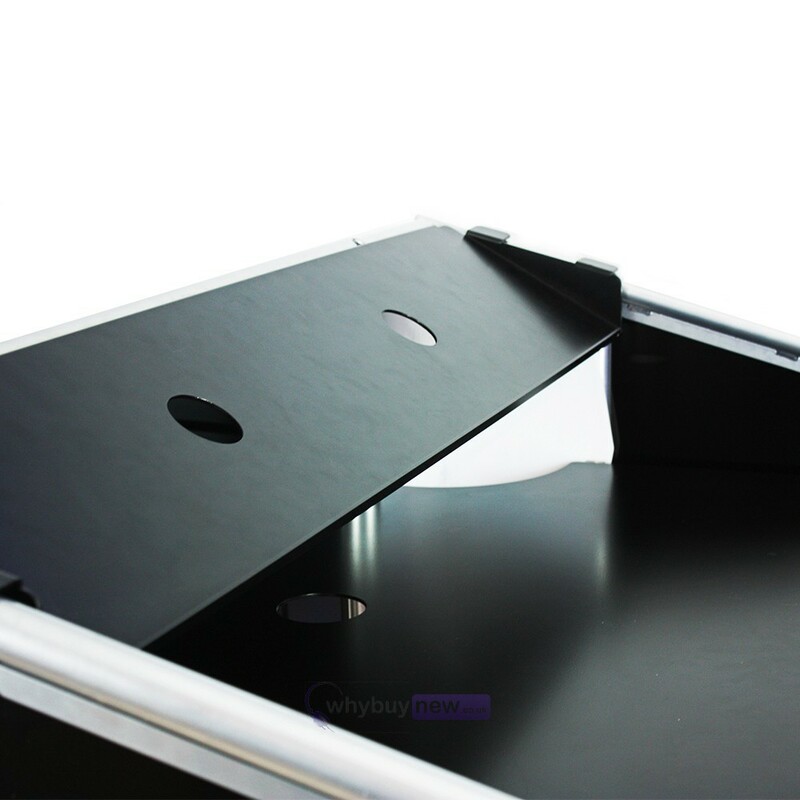 Its high-grip pads mean that the shelf can't move or slide. 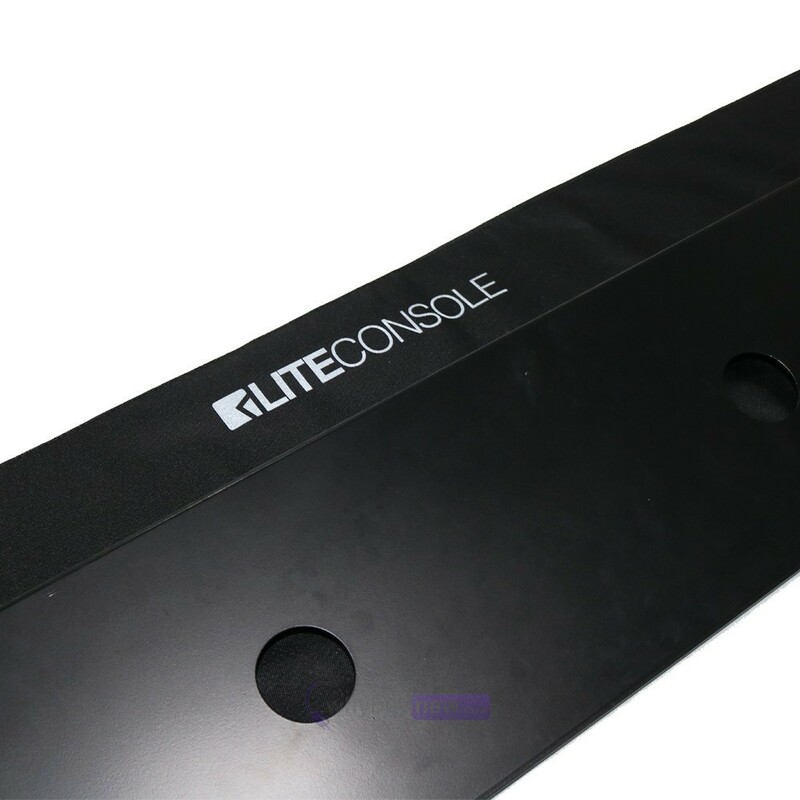 Here we have the Liteconsole Elite Laptop/Monitor Shelf in brand new condition and in B-Stock. 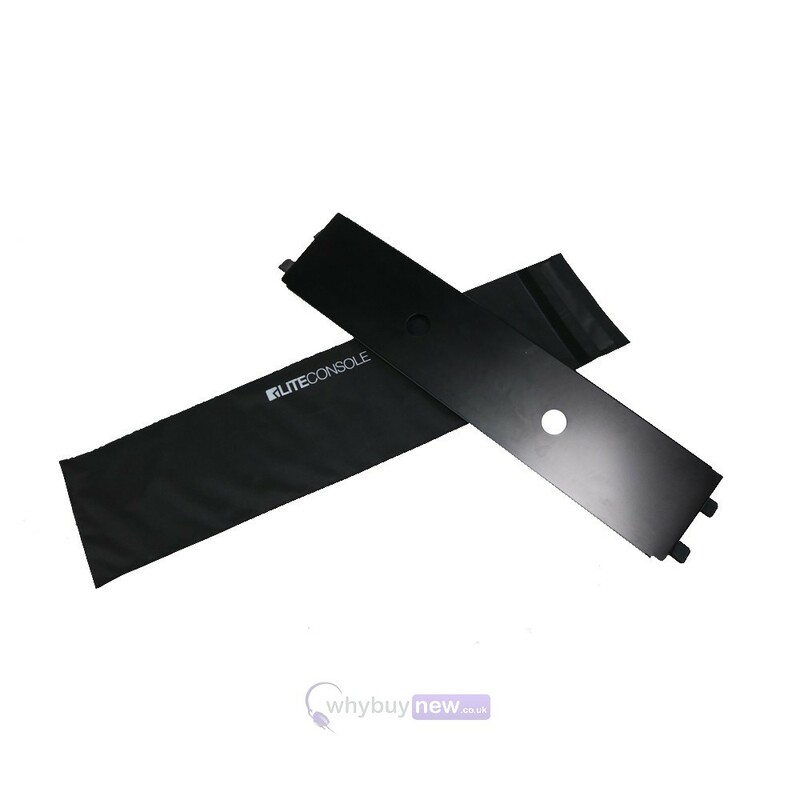 The B-Stock versions would have been on display at a training evening or trade exhibition only and will come boxed 'as new' with the carry bag and a 1-year warranty. Please note that the original box has taken some cosmetic damage.